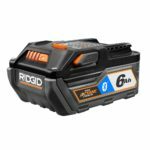 I was looking at one of Ridgid’s Hyper Octane batteries on Home Depot’s website and noticed a new video for the new Hyper Octane batteries/Octane tools. Part way through the video I noticed a new jigsaw that hasn’t been announced yet. 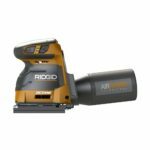 Then a few weeks ago Ridgid put up their 2018 quarter 3 promotions and they gave a first look at the Octane brushless 18v jigsaw. This means it will have a brushless motor and communicate with the Hyper Octane batteries to deliver more power under heavy loads. My thoughts: Over on the Ridgid forum and on facebook I’ve seen many people asking for an updated jigsaw for quite a while, and for good reason. The X4 jigsaw was basically just the previous X2 but with a better gripping surface due to their hex grip textured rubber overmold. 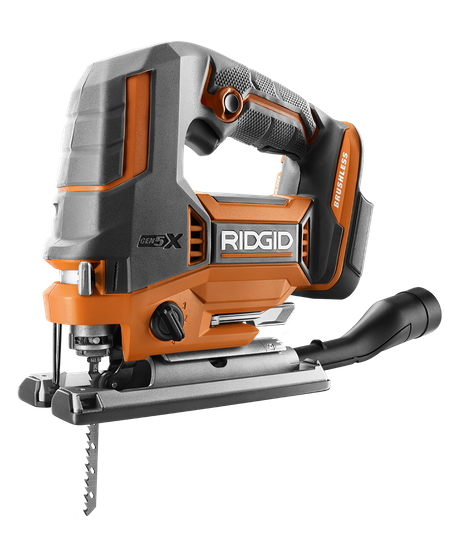 Ridgid took their time answering their customers request but thankfully it appears they didn’t overlook anything on this new model. 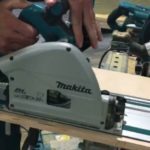 It’s got all the features you’d expect from a pro grade saw such as several orbital settings, a dust collection hook up, and a brushless motor. Being an Octane tool it should have the power to go through any material thrown at it. Another advantage is this saw will only be $10 more than the X4 model coming in at $129. I reached out to Ridgid and they said it should start hitting stores in September 2018. This looks cool. Now we just need Ryobi to release a brushless jigsaw. Rest assured I’ll try to be the first to cover it if they release one! This listing was up finally on HD website yesterday, but pulled a few hours later. I’ve been waiting on this to come out since first seeing it on their promotions site. Getting close hopefully….